Welcome to my web-site I hope you enjoy reading through the therapies I offer. If you would like any further information the best way is to send me an email or you can give me a ring. Gaia Holistic Therapies, based in Farnborough inthe Surrey Hampshire Berkshire borders region and close to Fleet, Camberley, Aldershot, Sandhurst and offers a range of treatments, designed to work with the person and enhance the body's own healing abilities, allowing the body and mind to unwind and totally relax, thereby optimising the healing effects of the treatment. 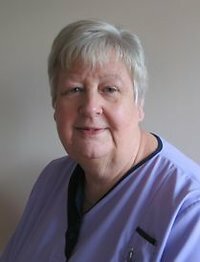 My name is Sheila Lindop and my practice is based in Farnborough, Hampshire GU14 8BP, but close to Camberley, Fleet and surrounding areas. I am a fully qualified and insured Reflexologist, Bodytalker and Counsellor (although I do not now offer Counselling as a therapy). I have worked as a Reflexologist since 2005 and am registered as a Fellow member of the Association of Reflexologists. I have also done post qualification studies in Maternity (pregnancy) Reflexology and courses on fertility issues incorporating Precision Linking. I continue to attend training days to update my knowledge and skills, including Reflexology Lymph Drainage, which is gaining a reputation in helping those who have breast cancer. I have recently done courses on Mindful Reflexology and had a number of clients suffering with anxiety and insomnia, this protocol has been successful in helping to support lessening the anxiety and stress and depression and helping them to sleep better. Reflexology continues to be a developing therapy and there are always lots of new things to learn which can then be used to enhance my treatments. I love doing reflexology and part of my passion for doing it is because it has helped me on my health and well-being journey over many years. Working with all the different aspects and range of clients is fascinating but in addition I have a special interest in pregnancy and pre-conception, sub-fertility, preparation for IVF. This year I would like to encourage both partners to come for reflexology, as I think the men sometimes get forgotten and it is important for both to be as healthy as possible. I work with a whole range of clients and am not limited to fertility etc. The reflexology page gives you lots more information, so please take a look. I am excited to be able to offer Bodytalk (www.bodytalksystem.com) and am a Certified Bodytalk Practitioner. This is a relatively new ground breaking therapy and I have had some good results so far. The human body is very clever the way it keeps us balanced and harmonised so we can live our lives but sometimes this can go awry for various reasons. How amazing is it that the body can tell us what needs to be rebalanced, synchronised or where there is a communication breakdown and the priority it needs to be dealt with. Lots more information on the Bodytalk page. You can always try a taster session, give me a call if you would like to give it a try. Or why not try a combined Reflexology and Bodytalk session, this usually last about an hour and a half. Both Therapies complement each other to give an extra special treatment. I also offer hot stone reflexology, a great addition to your Reflexology treatment in the cold winter period, or at any other time too. As time needs to be allowed to heat the stones prior notice is required, so let me know when you book your appointment if you would like to incorporate hot stone reflexology. There is an additional £5 charge.For a more in depth hot stone treatment try the Stone Sole therapy developed by La Stone Therapy. Appointments are available during the daytime, evenings and some weekends by arrangement. Gaia Holistic Therapies is located in Farnborough, close to the M3, A331 and A325, and is easily accessible from Farnborough, Farnham, Fleet, Frimley, Mytchett, Ash, Camberley, Yateley, Sandhurst and Aldershot. Most of my clients find the easiest way to contact me is to email me at [email protected] for an appointment or you can telephone me, on 07810 634712 (mobile) or on the landline 01252 515814 for an appointment. Please note that that this a new landline number if you have visited the site before. I am always very happy to discuss any of the treatments before you book. If I'm not available to take your call personally please leave me a message and I will return your call as soon as possible. Payment is by cash or cheque only or you can do a bank transfer. To help achieve this and help you to feel at your best, why not think of booking in some regular Reflexology or Bodytalk sessions. At its most basic level what could be better than an hour of relaxation to help your body, mind and spirit rejuvenate themselves. A small escape from the busy lifestyles we all seem to lead but with added benefits. It is my ‘go to’ therapy for myself and Reflexology is mentioned in Dr. Rangan Chatterjee’s new book The Stress Solution. With Valentine’s Day and Easter on the horizon then a treatment voucher might be just the thing instead of chocolate. But it is still a long time to wait so why not book yourself in now. Appointments are currently available, so drop me an email or phone me and we can set up an appointment. Look forward to seeing you.